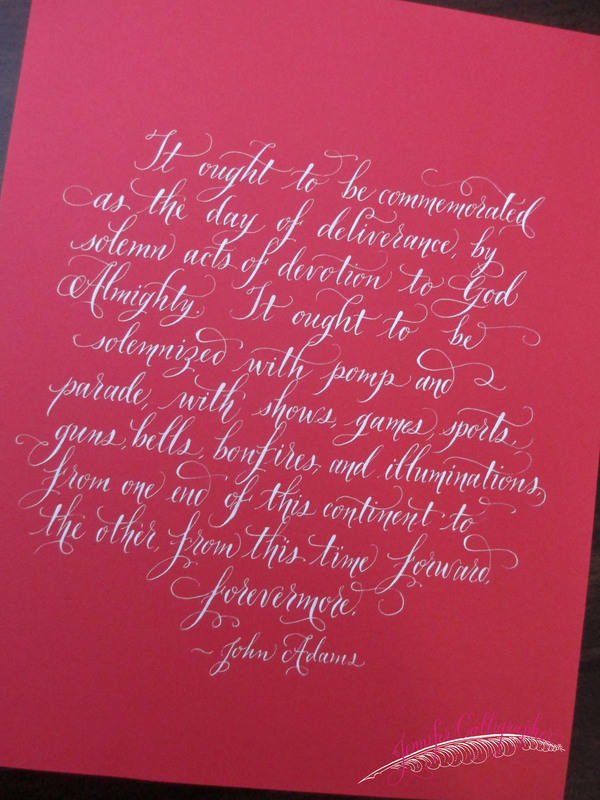 I came across this quote from John Adams, and penned it this morning in calligraphy. Perfect for the Fourth of July! 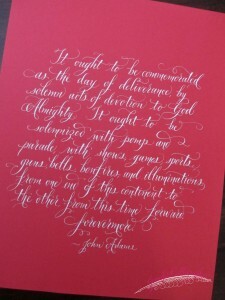 I like purchasing packs of colored paper from Michaels, and then use my Nikko G nib and Dr. Martin’s Bleedproof White ink. The ink is rather thick, so simply add about 10 drops of water to the jar, then gently stir the upper portion of ink (not the whole jar). Use a brush to coat the nib… and you’re set to write!